Business opportunities abound in this Main Street City with high traffic counts on major highways. There are dozens of available locations on the highways and the historic downtown area to put a new business in. New restaurant and retail opportunities are still plentiful with new hotels, a new 18 hole golf course, a new 585 acre ATV Park, and excellent healthcare facilites. Employment opportunities are absolutely everywhere in Childress, Texas. 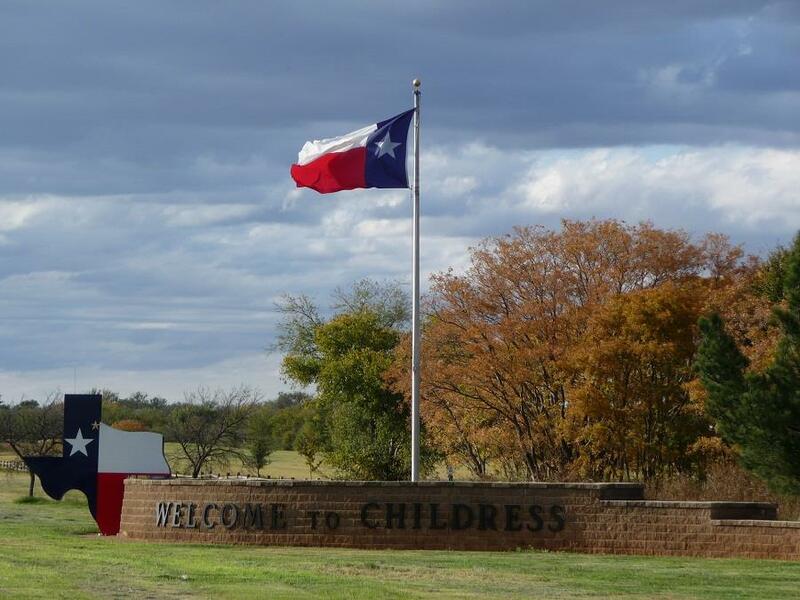 Come see what Childress, Texas has to offer. US Highway 83 that runs from Canada to Mexico, US Highway 62 that runs from Niagra Falls, New York near the Canadian Border to El Paso, Texas and US HIGWAY 287 that runs from Montana to the Gulf of Mexico through Denver and Fort Worth / Dallas all cross right here in Childress. Childress is home to the annual Greenbelt Bowl Classic. This great football classic started in 1950 and is now put on by the Childress Rotary Club. Childress Regional Medical Center, Fox Clinic, Stoney Ridge Golf Course, Childress ATV / MotoPark, Childress County Sheriff's Office and Detention Center, Hampton Inn & Suites of Childress, Holiday Inn Express, Childress Banking Center and Pilot Travel Center with PJ Fresh Marketplace and Arby's, a Mult-Purpose Events Center and Pak A Sak Convenine Store are just a few of the multi-million dollar projects that have recently been completed. Several other building projects are currently under construction. Wind Energy has brought several muli-million dollar transmission lines through the county. Solar Energy is in process of buiding a huge Solar Park just east of Childress which is bringing hundreds of temporary jobs through 2020. Oil & gas activity in the surrounding area has brought projects and jobs to Childress County. This area is also great for viticulture and vineyards are beginning to stake their claim on this fast growing Texas Industry. The Prairie Dog Fork of the Red River is one of two navigable rivers in the Panhandle of Texas for ATV's, Motorcycles, Full Size OHV's, Dune Buggies & Sand Rails. HUNTING in Childress County and the surrounding area is absolutely excellent. Our large and abundant white tail deer, mule deer, wild hogs, turkey, quail and dove are attracting hunters from all over the United States.